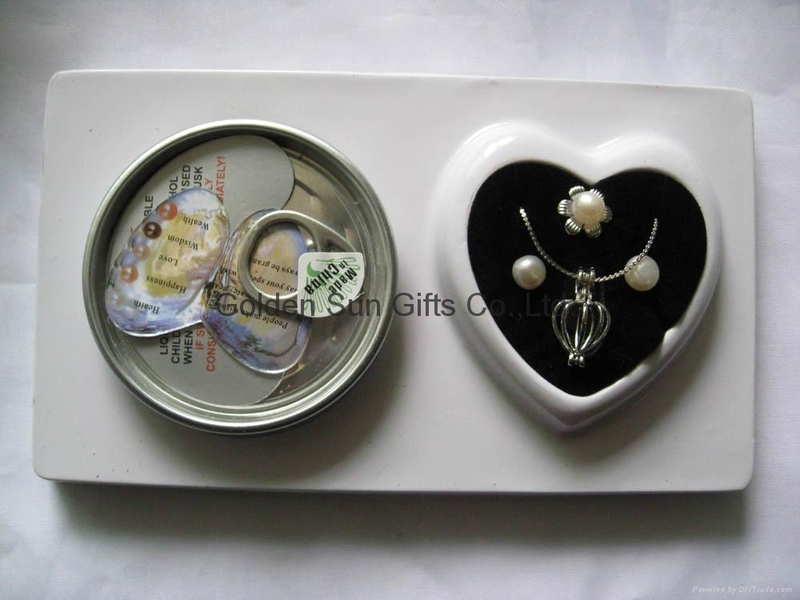 Love/Wish Pearl 3PCS Gift Sets Included:Love/Wish Pearl in Oyster,Pendant 17"Chain,Earring , Ring ,Color Box. Perfect Gifts for everyone ! Qty/Ctn : 1 set per gift box , 20sets per inner box , 100sets per export carton. Best Gifts to your lover , mother , Girl friend , wife ... suitable sending this gift on Valentine's Day , Mother's Day , Birthday ,anniversary etc especial Day ! Your Love/ Wish Pearl is 100% natural pearl. Where the inner core or nuclei of many expensive cultured pearls often consist of up to 90% shell, your Love/Wish Pearl is a cultured pearl that takes a minimum of 3 to 5 years to develop within a mollusk. As the Love/Wish Pearl reaches its final maturity of 4 to 8 millimeters in diameter, the original irritant naturally dissipates,leaving only the pearl itself. Only one of several hundred mollusks develops a quality pearl of size, roundness and luster that qualifies it to be a Love/Wish Pearl. Inside the Love/Wish Pearl package, you'll find the special can with a pearl inside, pendant with chain, and Love/Wish Pearl booklet. The Love/Wish Pearl comes in five different colors(white, cream, pink, golden, lavender). After opening the "gift box",you will find a mussel containing the "Pearl of Love or Pearl of Wish ".Once you see your "Pearl of Love or Pearl of Wish " you will discover how elegant and lustrous it is.Included is a copper or silver chain with nice pendant. Make a wish and open your Love/Wish Pearl oyster! Freshwater pearls come in 5 colors. Perfect for gift giving, holidays, weddings, showers. A precious freshwater pearl keepsake to treasure forever! Make a wish and open your pearl to unlock the Mystery of the Love/Wish Pearl. 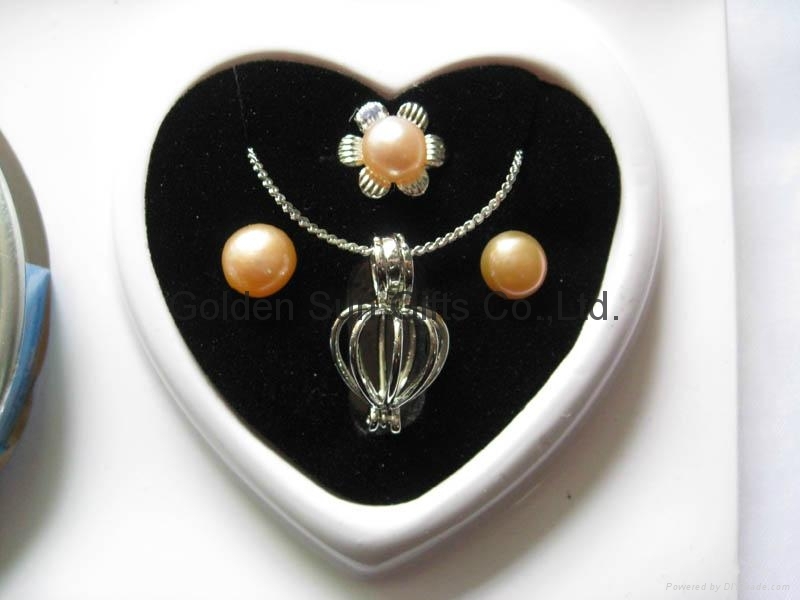 Once you've opened your Love/Wish Pearl oyster and removed the Love/Wish Pearl, open your Love/Wish Pearl pendant cage and place the pearl gently in its setting. Your pendant is now ready to wear! 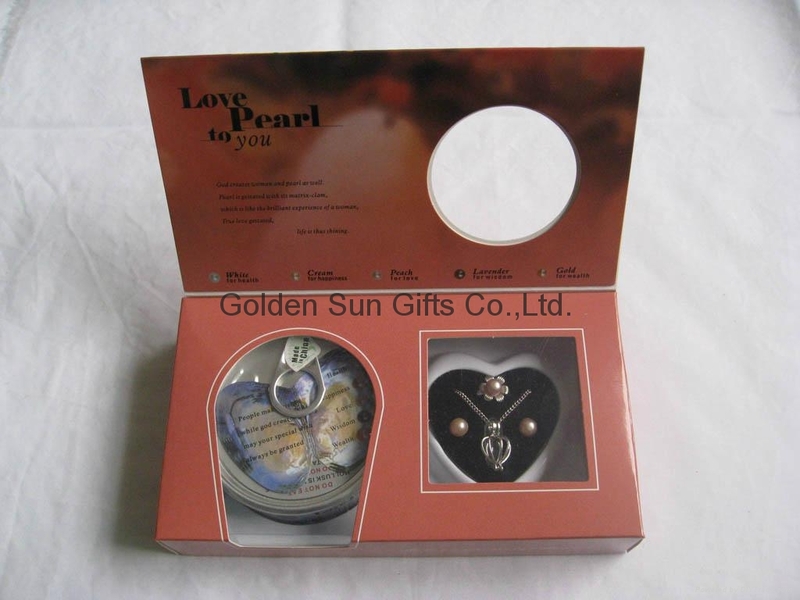 The Love/Wish Pearl Gift Set is a perfect gift for your loved ones, family members, teachers or friends. They make wonderful wedding or shower favors!